Shirdi Sai Baba could have stayed (in his body) longer, but he took upon himself the illness of one of his devotees. It was one devotee that he had taken as his son, because he had promised to the mother of Tatya Patil that he would look after him and nothing bad would happen to him. So, one day this devotee got tuberculosis and, of course, he would cough blood, all this. 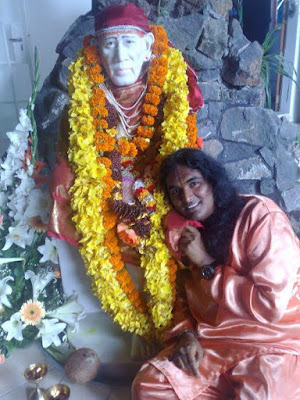 There was one lady, Laksmi Bai, who used to look after Shirdi Sai Baba. Just before he died, he gave her nine coins, saying to her “These coins that I am giving you are the nine forms of bhakti.” Then, knowing that he would take upon himself the illness of Tatya Patil, he sent everybody and said “Well, it’s a good time.” Then he transferred all the illness onto his own body. He could do that through his siddhis (spiritual powers). Then he took Maha Samadhi willingly. "(Before) I was explaining to somebody about the difference between samadhi and Maha Samadhi. There are a lot of samadhis, but for saints, they always take Maha Samadhi when they die, because they say willingly “Yes, I will go.” That is easy for them. Of course, anybody could say “Yes, I can kill myself and go,” but one would not go in the same manner. 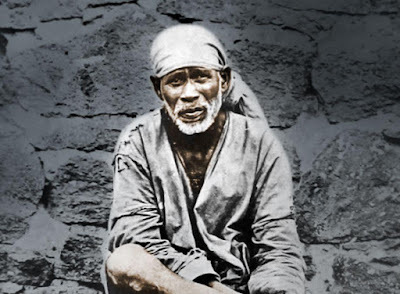 There are so many incidents in Shirdi Sai Baba´s life that we could talk about. We can see many small things, which have great meanings, but I guess you all know the story of Shirdi Sai very well, so I will not go much into detail about that. His life was an example; he was simple and free. If people offended him, he was neutral, because he had such a Love for people; everybody was welcome. Sometimes though, he would behave in such a strange way, when people would come to him. There were incidents when people would come to him and he would behave really madly and push them away. After pushing them away, he would call them back and treat them as a tender mother with all his care and Love. Of course, people would not understand “Why did he first push us away and now he is being so kind to us?” Actually, he was not pushing away the person as a person, but he was pushing away the negativity of the person; he was pushing it away from that person. Strange was his ways, because he would never say directly what he was doing. He was always talking to himself, always looking after the welfare of the Universe like a mad person. Well, it’s typical for Masters to do that, you know? Otherwise it would be so easy for people to understand things. Only the clever will understand. I don´t mean clever with the mind, but clever with the heart, wise. Once, a man and his gang planned to kill Shirdi Sai. They knew that he used to walk a certain path, so they hid themselves behind a stone and as Shirdi Sai was walking by, they planned to beat him up. As they were going to hit him, he just turned and they saw the Mecca and the moon and the stars in his eyes and they were transformed. Some of them ran away, because they got so scared, but the man who had planned to kill him changed. He fell at Shirdi Sai´s feet and asked for forgiveness. 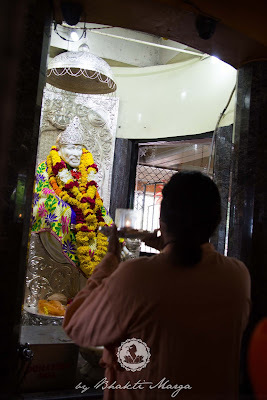 Shirdi Sai said to him “Look my dear, in the mind of ignorance one sees the difference, one sees the limitation, but there is only one God with thousands of Names. You can call Him Allah, you can call Him Bhagavan or any Divine Name, but it’s the same God that you are calling. If God would have a limit, He couldn’t be God. We can’t say “God is just this” or “God is just that.” Then how could He be God? God is the manifestation of everything. God is this and that! And it is only the manifestation of Him that seems different.” So, realising this, the man changed. You see, we look so much at the outside; we give limits to the outside. Of course, we have to build up the outside first, so that gradually we can transcend the outside and move into the infinite, move from the finite to the infinite, from the limited to the Unlimited One. You have a mind and you have a body and in this there is limitation. Learn to handle your humanness first, so that you can then handle the Divinity. 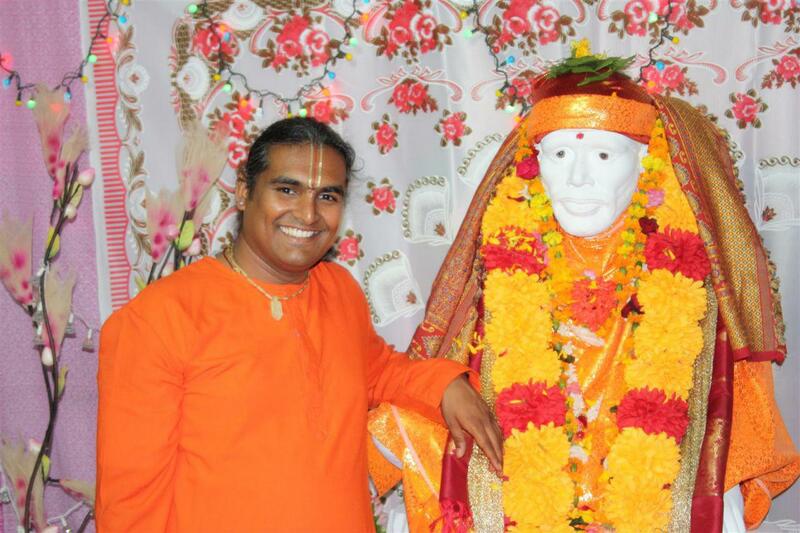 Shirdi Sai Baba is such a great example, such a great Saint, but he was always humble. He could have been living in a big palace if he had wanted. He gave so much to people and he is still giving so much to people. Even though he died a long time ago, there are so many people who still profit from him. One of his promises was “Even if I am dead, I shall speak through my tomb.” He also said “If you look at me, I will look at you.” He has shown this so many times to so many devotees. Even I have so many experiences with him. Call Him sincerely.